It’s every angler’s dream to be the first to try something new in fishing, especially when there are potential record fish on the cards. 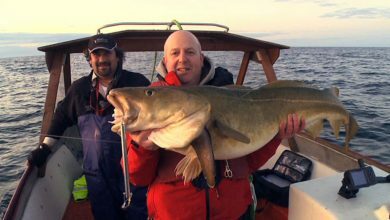 And that’s exactly what Rae Borras is doing in this fantastic two-part show made exclusively for FishingTV. 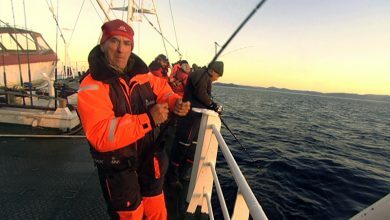 Rae is invited to join a group of intrepid anglers who are winter fishing waters some 350 miles North of the Arctic Circle for the first time on behalf of angling holiday company DinTur - in areas where there is known to be a real chance of record breaking cod to 80lb and halibut going well over 400lb! The sea looks becalmed, but don’t be fooled, these are treacherous waters – if you fall in you have less than five minutes to live! 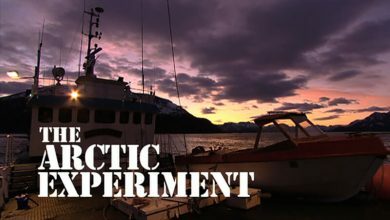 Rae Borras signs up for an exploratory fishing adventure in search of deep sea monsters on a Norwegian trawler.